In terms of fulfilling the Mitzvah of Talmud Torah, when studying the Written Torah, must one learn the translation in tandem with the Hebrew words? Or is it sufficient to understand the meaning, messages and translation of the Written Torah without reading the Hebrew that it's written in? There is no difference if he understood the matter in L'shon Hakodesh (Hebrew), or in Arabic, or in Aramaic. The point is the understanding of the matters in whatever language they be. Although the questioner spoke Arabic and was concerned about his being limited to learning Peirush Hamishnayot in Arabic, and Rambam's context might be construed to that; Oral Torah, not Writtesn Torah, his emphatic statement seems to include all Torah study. It seems especially likely that this is meant as a universal statement given that the questioner didn't express embarrassment over the fact that he was learning the Mishna commentary in Arabic, rather than Hebrew. In fact it wasn't even available in Hebrew. Thus it wouldn't make sense for this statement to be about the PH in particular. Rather, it seems to be a universal statement. As with any text the original often conveys nuances that translations don't carry. 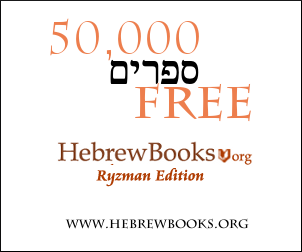 (It is for this reason that Rambam writes in the responsum that his Mishne Torah will not be translated to Arabic.) Therefore, everyone would certainly agree that there is value in learning Torah texts (be they Torah, Mishna, Gemara, or anything else) in their original, in that this will further ones appreciation of them. Nevertheless, the implication of the Rambam is that the mitzva is fulfilled with trans. as well. The Gemara in Berachot 13a says that there is a dispute about whether the Torah was given in Lashon ha-Kodesh or in every language. The Shitah Mekubetzet ibid. cites the Ra'avad who explains that the question is about Torah study: if the Torah was given in every language, one can study it in every language, but if it was not, then one only fulfills והגית בו יומם ולילה in Lashon ha-Kodesh. Not the answer you're looking for? Browse other questions tagged halacha hebrew torah-study mitzvah language . Can one make a siyum mesechta if it was learned in English translation? Is it a sin to read parsha commentaries during leining? When learning an English Sefer does one have to mouth it or can he just think it? best Hebrew-English Tanakh in printed form, interlinear if possible?